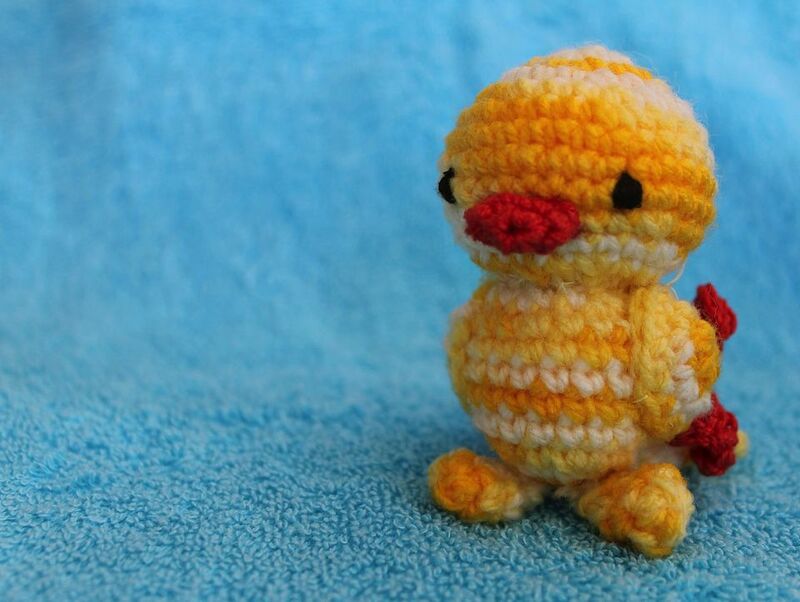 Miniature crochet projects range from micro and mini micro crochet animals and bears to delicate filet crochet curtains, and bedspreads for the dolls house, as well as tiny items like dollhouse tea cozies and doilies and fashionable clothing for ball joint dolls. Success with miniature crochet requires careful matching of the project and the size required, to thread and hook sizes. The most common crochet hook sizes used for miniature crochet are the metric sizes .40, .60, .75, 1, 1.25, 1.5 mm. For US crochet hook equivalents, .40 is a US size 16, .60 is a US size 14, .75 is a US size 13, 1 is a US size 12, 1.25 is roughly a US size 10, and 1.5mm is a US size 8 in steel crochet hooks. There is no standard sizing across countries, so different numbers may be used for different metric sizes. In general, 1.25 or a US size 10 is the most commonly used for dollhouse doll clothing, while 1.0 or US size 12 is a common size for miniature thread bears. Crochet threads are chosen for their drape or stiffness as well as their thickness. A few are chosen for other characteristics. Consider which crochet hooks are used for various thread sizes before you start working. Fine silk sewing threads (such as Gutterman silk) or embroidery threads can be used with the finest (.40mm and .60mm) crochet hooks for filet crochet for doilies and tiny dollhouse curtains and bedspreads with detailed patterns. The silk thread has a much better drape than cotton of a similar size and works well for items which must mold to a doll's body (or a teapot) or which have 'ruffles' such as curtains. The downside of silk thread is that it has a noticeable sheen. Other threads suitable for very fine hooks include DMC 100 to 80, tatting cotton, and fine single strand embroidery thread. Threads are sold by weight, with a 40 wt cotton being twice as thick as an 80 wt cotton. For European threads, such as Venne Colcotten which comes in a range of colors suitable for miniature knitting and crochet, the first number associated with the thread is the thickness, the second number indicates the number of threads used in the twist. Venne Colcotten 34/2 is twice the thickness of Venne Colcotten 70/2. The thickness of the thread makes the 70/2 Colcotten roughly the equivalent to an 80 wt crochet or tatting thread. For bears and other items # 20 crochet cotton is roughly the equivalent to a #8 Perle cotton, and a # 5 Perle cotton can be used for most #10 cotton (bedspread weight crochet cotton) patterns. Perle cotton is softer and shinier than crochet cotton but has a wider range of colors and an interesting texture. "Plush" thread bears and other animals are made from fine wool (shetland lace weight) or punch needle wool which is brushed out with a fine brass brush if desired to make a furry coat effect.